When Jamie Dimon testifies in the Senate on Wednesday about JP Morgan’s $3 billion trading loss, the focus will almost certainly be on the speculative aspect of the trade. After all, the financial reform bill Congress passed in 2010—specifically, the provision known as the Volcker Rule—was supposed to stop banks from making risky bets with their own money, at least if they benefit from government support. And JP Morgan gets lots of government support. But as Roger Lowenstein pointed out in a recent Bloomberg column, the congressional scrutiny would be more properly trained on the conventional part of the JP Morgan trade—the part that was garden-variety hedging, which the Volcker Rule allows, and whose praises mega-bankers never tire of singing. The JP Morgan trade worked roughly as follows: The company made billions of dollars in loans to companies in Europe. Then, to hedge against the risk that those loans went bad—you may have heard that Europe is a dicey place to do business these days—JP Morgan bought insurance through a kind of derivative known as a credit default swap (CDS). The CDS would pay JP Morgan a pile of cash if the loans (actually, an index that tracked the performance of those loans) started taking on water. That was the first part of the trade. The second part came once JP Morgan decided Europe wasn’t such a scary place after all. At that point it started selling insurance to all the bed-wetters still nervous about Europe (suckers!). This of course left the bank with lots of exposure to the continent, and, well, that turned out to be a lousy idea in the end. Like a lot of other people, my view since the beginning of this fiasco has been that the second trade clearly violated the spirit if not the letter of the Volcker Rule. (And if it didn’t violate the letter, it’s only because JP Morgan gave the Volcker Rule a stiff copy-edit.) It was gambling, pure and simple. But Lowenstein’s point is that even the seemingly wholesome initial trade—the hedge—wasn’t all that wholesome. As he explains it, the ability to hedge so quickly and seamlessly allowed JP Morgan to make a bunch of risky loans that it almost certainly wouldn’t have made if not for their hedge-ability. The problem, as Lowenstein points out, is that the hedge didn’t make the risk go away. It simply transferred it to some other fool. And that fool was probably less able to bear it than JP Morgan. In the runup to the financial crisis, for instance, that fool tended to be AIG, whose eventual implosion required a $180 billion government bailout. “[T]hanks to these instruments,” Lowenstein writes, “banks take more risks than they otherwise would and thus more risky bets are collectively owned by society.” Sounds like a bargain! Which, in the end, is where Congress could do us all some good on Wednesday. 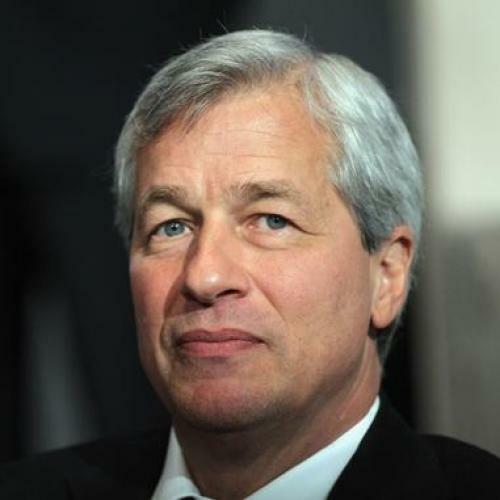 As emotionally satisfying as it would be to put Dimon through the what-did-you-know-and-when-did-you-know-it ringer, it’s not clear what that would accomplish. (If nothing else, he’ll be expertly prepped to evade such questions.) A debate on the social utility of credit default swaps, on the other hand, could be a real teachable moment. Somehow I’m not holding my breath.